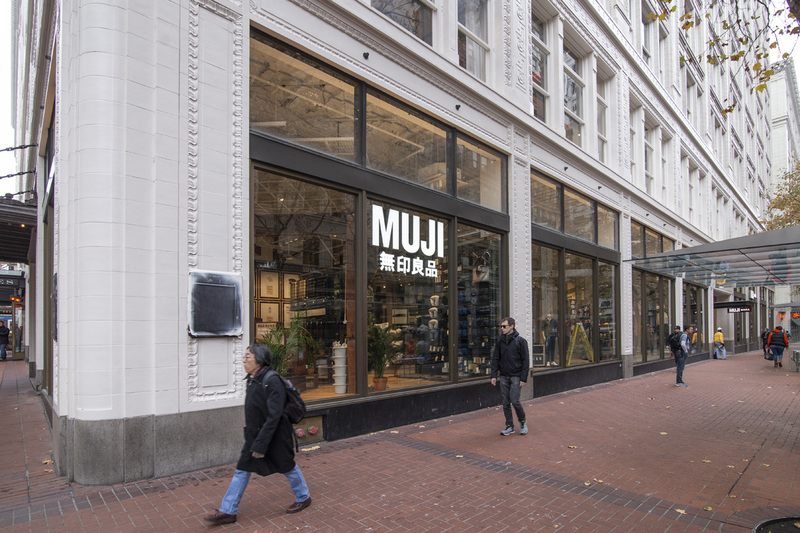 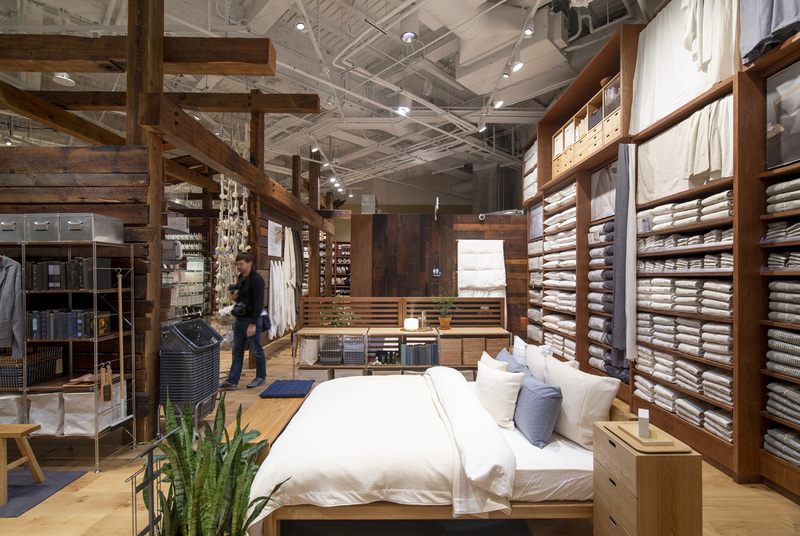 Taking over part of the old Meier & Frank Building in downtown Portland, Oregon this MUJI store will be the second-largest US location for the Japanese lifestyle retail brand. 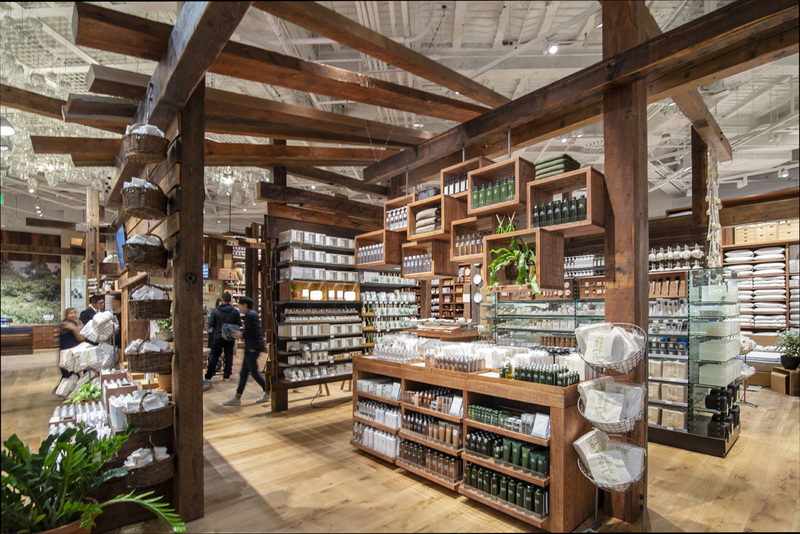 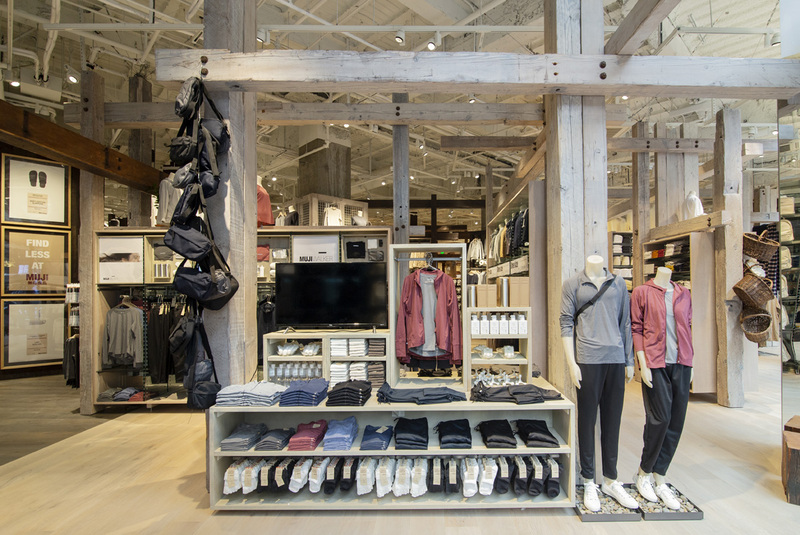 The store is filled with plenty of reclaimed timber and some American Prairie wall paneling. 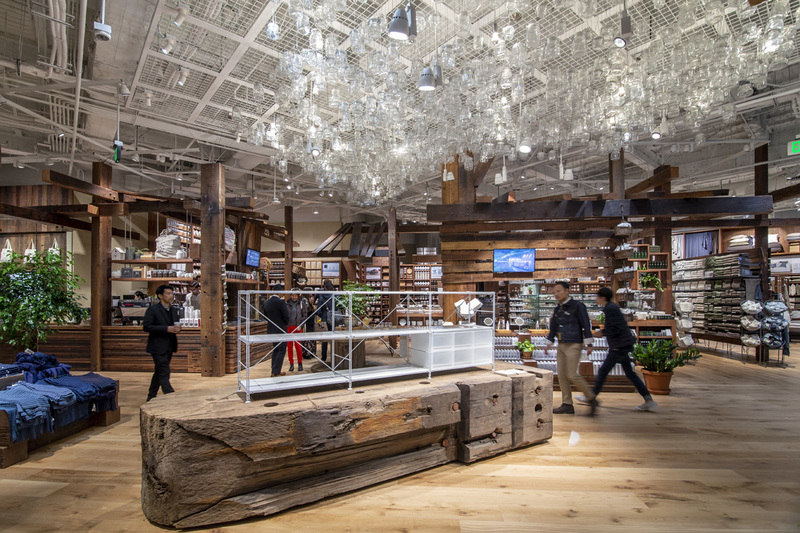 A piece of as-found timber from the Welland Canal is featured in the center of the store.